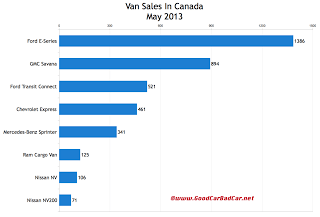 Businesses and absurdly large families purchased 3905 commercial-oriented vans in Canada in May 2013, a 5% year-over-year increase. Year-to-date, sales are up 2.4%. 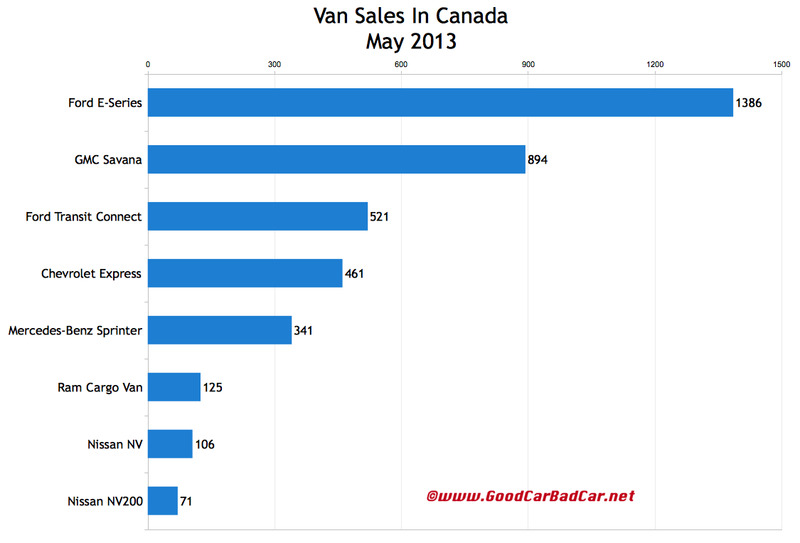 Commercial vans account for 1.8% of Canada’s auto industry. Eight different nameplates now vie for the cargo management/transportation needs of Canadians. 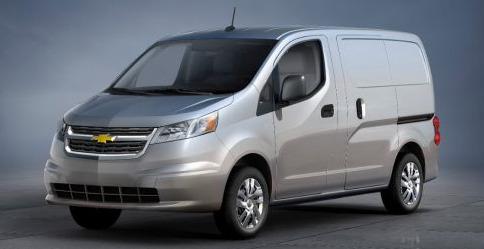 Bizarre though it may sound, before long, Chevrolet will also be selling a version of the Nissan NV200. Don’t be surprised if, depending on production quantities, Chevrolet might just sell more copies of Nissan’s van, set to be called the City Express, than Nissan can sell itself. Historically, commercial vehicle buyers have made their purchases from Ford, Dodge, and General Motors. You can click any model name in the tables below to find historical monthly and yearly Canadian sales data. You can also select a make and model at GCBC’s Sales Stats page. This table is now sortable, so you can rank commercial vans any which way you like. Suggestions on how GCBC should break down segments can be passed on through the Contact page.